Ace Concrete and Excavating: Pa.'s answer to decorative concrete and precision excavating. 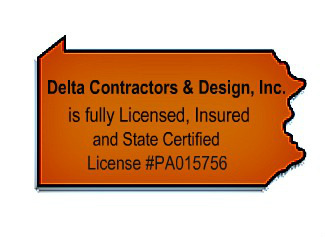 - Delta Contractors & Design, Inc. Call (814) 764-5551 for Your Free Estimate! Turning your choice location into a beautiful home or building complex takes a keen sense of ingenuity, time-tested experience and a team of certified earth-moving professionals. When you choose Ace Concrete & Excavating, you make a sound move in making your building dreams become a reality. Everyone knows that a solid foundation is essential to the structural integrity of a new home or building. That’s why it makes sense to choose Ace Concrete & Excavating for your next job. We’ve got nearly 30 years of experience backing us up as we break ground on your next project. Ace Concrete & Excavating is a certified Superior Walls Systems Installer offering you pre-insulated, pre-studded foundation walls that are already prepped for utilities. Superior Walls are built to perfection in a controlled environment before arriving at your development site. In using Superior Walls, your cost for labor is decreased and your project completion speed is increased. Poor weather conditions are no longer a delaying factor, not when your new home or building can be constructed in a fraction of the time. And with this type of dry foundation, you can be assured that you’ll have the driest basement possible. On top of all that, Superior Walls can make finishing off your basement a snap! Ace Concrete & Excavating is also equipped to build block foundation walls for your home, crawl space, additions and remodels. We also use bock walls for buildings built on a slab. Stamped and decorative sidewalks, patios, pool surfaces and driveways can add a unique sense of class and style to your home or building grounds. Say goodbye to plain, boring cement walkways and other home exterior surfaces. Our large variety of concrete stamping options and decorative colors gives you the opportunity to express yourself and to make a unique impression on visitors. Delta also specializes in the installation of dry-laid retaining wall systems such as Keystone Block or Versa-Lok, etc. Retaining walls are a decorative way to keep the earth where you want it so that you can make more practical use of your residential or commercial property. 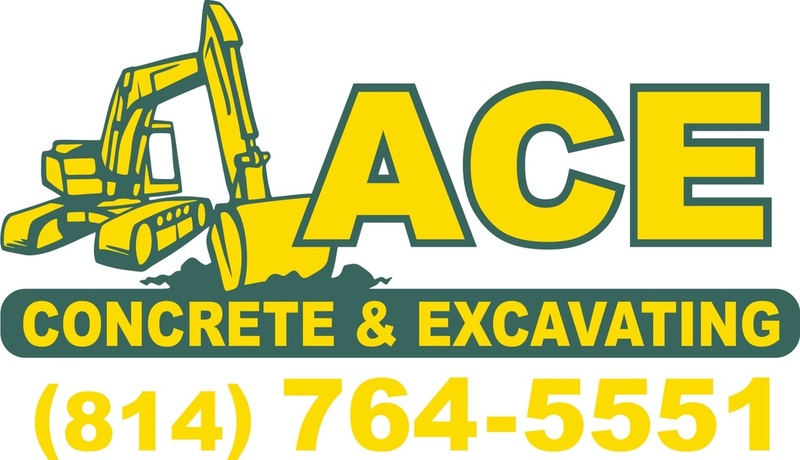 On top of site development, Ace Concrete & Excavating can also install and repair septic systems with conventional leach fields and sand mounds for commercial and residential properties. And all our systems are state certified and code compliant. In addition, Ace Concrete and Excavating can connect a public or private water system to your home or business. We are also equipped to build driveways and private and residential roads. Do you have a lot that needs elevated? A foundation base created? A new driveway or drainage route dug? We can help with any and all of your excavation needs. Ace Concrete and Excavating can tear down structures and remove old building material to make way for new site construction. Need Reliable Excavation Done on Your Home or Business? "Our home is the center for all our family activities and putting in a new pool fit our needs perfectly. "The crew workers at Ace are professional, easy to work with and very accommodating." _ "It was Delta and Ace who helped us rebuild our McDonald's Main St, Clarion. "They did the excavation, concrete work, etc. that we were very pleased with. Again the quality of work, within budget and it was all done in a very timely way. 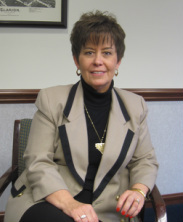 "Here in our small town, we consider the people at Delta as our extended family and look to give them work whenever it comes up.